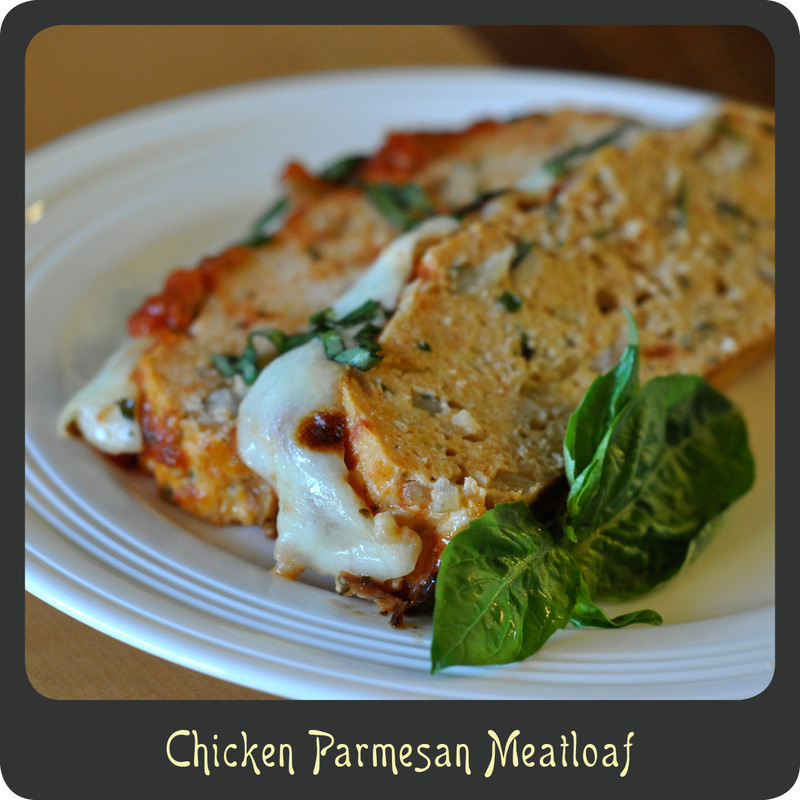 Chicken parmesan has got to be one of my favorite Italian dishes. I don’t make it very often because of the amount of work that it requires but I love the stuff! I also love meatloaf, the hubby not so much. 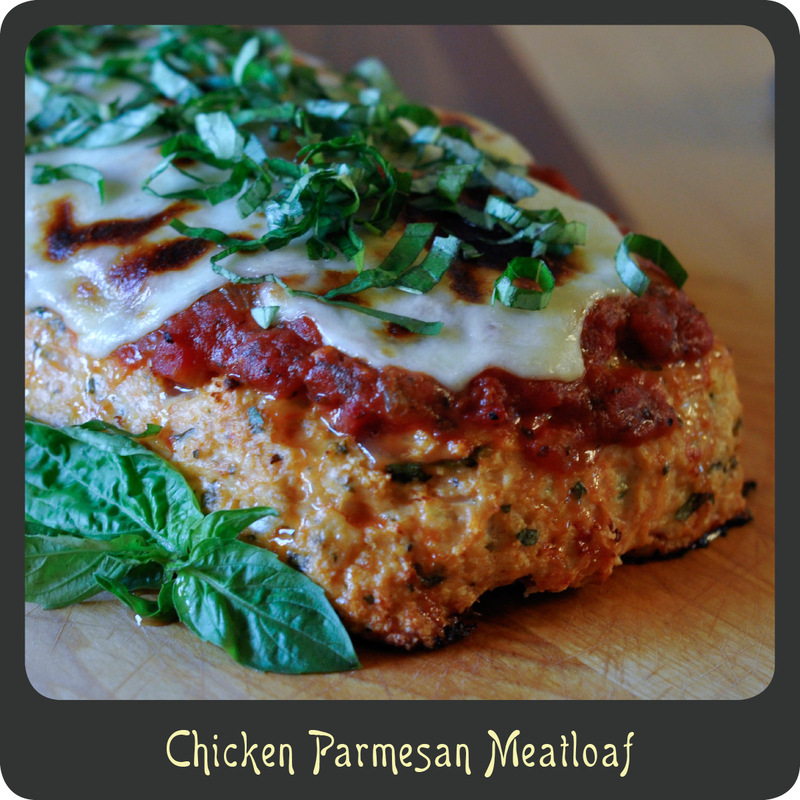 Well I saw a recipe the other day for an Italian chicken meatloaf and I thought to myself, why not give it more of a kick and incorporate my favorite chicken parm qualities, flavorful marinara and melted mozzarella…and this gorgeous chicken parmesan meatloaf was made. I expected the loaf to be much dryer, but with the sauce and eggs, it was the moistest meatloaf I have ever made, hands down. The parsley and basil give the meat a nice Italian flavor but really took it over the top was the homemade sauce and fresh mozzarella smothering the top. Delish! I love that this recipe is not only tasted fantastic but it is light on carbs and low in calories. I was able to whip this recipe up in less than 15 minutes so the hardest part was waiting for it to bake. And best of all, the hubby liked it. Note: I used panko instead of breadcrumbs to keep the carbs down but I imagine some Italian seasoned breadcrumbs would be wonderful! Shape the meat mixture into a loaf shape and place in a large greased baking dish. Remove loaf from oven and pour remaining marinara sauce over the top. Layer the sliced mozzarella over the top and continue baking for an additional 20 minutes. Turn on the broiler for 3–4 minutes to brown the cheese. Remove the loaf from the oven and allow it to sit for 10 minutes. Garnish the meatloaf with the remaining 1/4 cup of chopped basil and slice to serve.